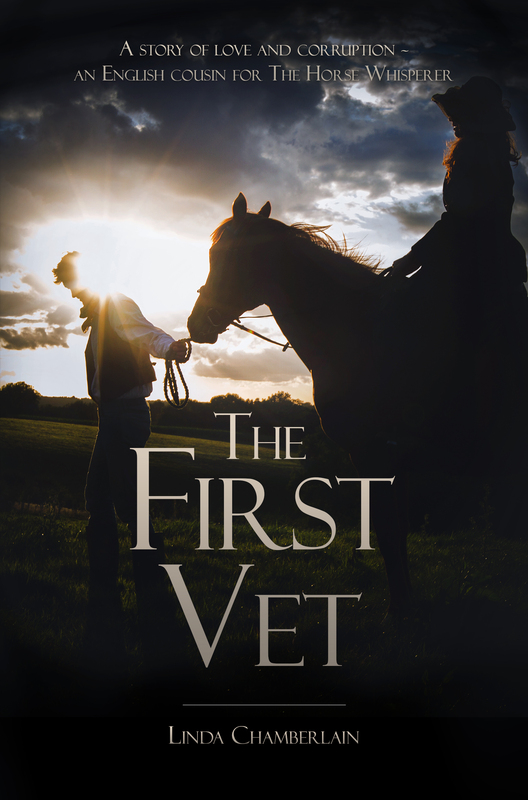 Laminitis – the vets couldn’t cure him, the farriers couldn’t make him comfortable and in the end the poor horse refused to get up. The bill for this sickening failure was $15,000! As this crippling condition reaches epidemic proportions, I’m asking whether horse owners are dealing with a ‘laminitis industry’ when they reach out for a cure? Are the professionals who advise making too much money and then failing to make simple but effective changes to diet and lifestyle that will see a lasting cure? Can we really carry on with this betrayal? Our horses’ crippling pain may be feeding a multi-million pound industry. Laminitis is so widespread and so misunderstood that distressed owners are paying huge bills to treat the symptoms but often failing to find a lasting cure. They pay a high price for specialist shoes that don’t heal, they fork out for deep bedding, painkillers, supplements, x-rays, veterinary advice and the services of their farrier. But if they fail to make permanent changes to their horse’s diet and lifestyle there is a real danger of the condition returning – especially when the grass is growing strongly in Spring or Autumn. 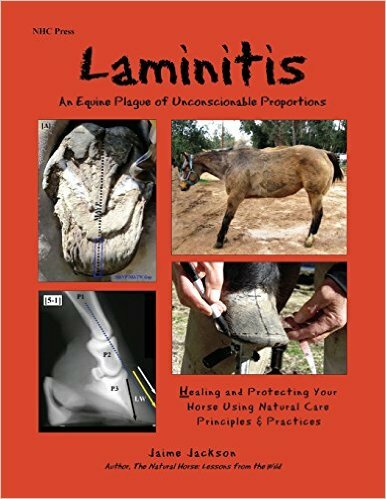 After reading the book Laminitis – An Equine Plague of Unconscionable Proportions by Jaime Jackson, I have been investigating the real cost of laminitis, seeking to gauge whether the author is right to label it an ‘industry’ – in other words, the people whose business it is to cure the problem are, in effect, living off its continuance. You may have heard the same said of the ‘cancer industry’ – the allegations in both cases are harsh and controversial. With laminitis, however, Jackson is suggesting relatively simple changes that will bring a lasting cure but let’s look at the cost of conventional treatment. Sometimes the cost is more than financial – sometimes the horse is put to sleep – but others return to work, at least for a while, and some make a lasting recovery. I was prepared to hear about a few large vet bills when I put out a call for information on social media. I was not expecting to get news of a lamentable failure to cure a horse – at a cost of $15,000. The horse on the receiving end of all this attention was a sports horse who underwent colic surgery only to be hit by laminitis and rotation of the pedal bone immediately after. He had a month in hospital, countless specialist shoes, drugs and feeds which had little or no impact on this poor equine who deteriorated so much that he refused to get up. The massive bill included three different farriers, hospital fees and vets visiting on site but everybody had a different approach – none of them worked! Months later, still wearing shoes, he gained enough strength to be led on walks again. He was on a hay-only diet but full soundness didn’t return. Then his owner read Jackson’s book on laminitis, decided to find a barefoot trimmer and get rid of his shoes. Finally, the horse was healing. Laminitis is often associated with fat, little ponies who are commonly ‘starved’ on minimal hay if hit by this painful condition. Such a diet, plus box rest, was advised for another horse thought to have diet-related lami. 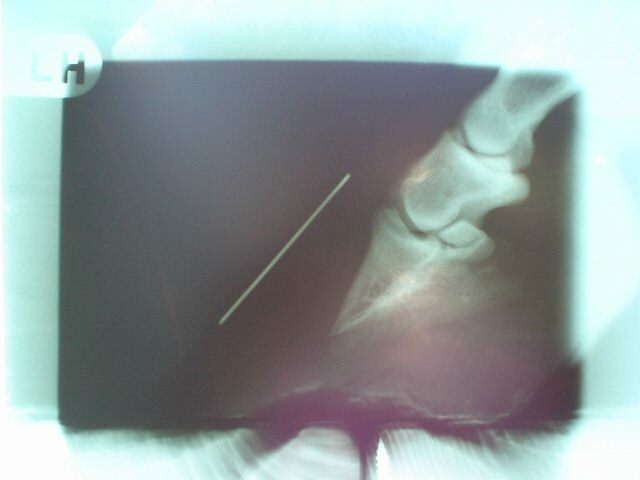 The veterinary bill for his feet alone came to £4000 but there were more problems to come. His owner reported that starving him and putting him on box rest made him fall apart – literally, as he lost all muscle tone. More veterinary investigations pointed to problems higher up the body. 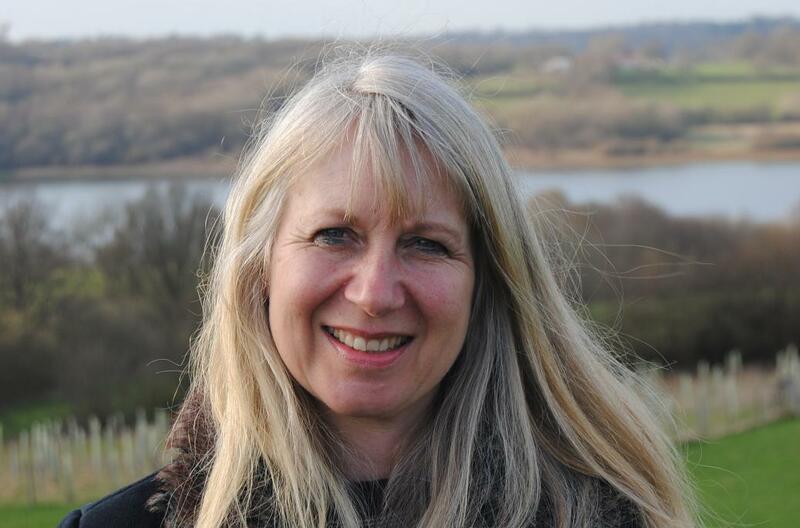 A full lameness assessment was advised, MRI scans, nerve blocks and a further £1500 bill. Straight bar shoes were replaced with heartbars. Still lame. The story told to me of a little driving pony shows the repetitive nature of the condition. He first got laminitis in the Autumn of 2015 and the prescribed treatment was box rest, Bute and heartbar shoes. The bill of £2100 was paid on insurance. No longer insured for laminitis, he went down with another attack this Spring and was once again in heartbars at £100 a time. More x-rays were taken and Bute prescribed. I visited some farriery web sites to read up on heartbar shoes. The cost seems to be between £100 and £150 for a set which would need to be fitted roughly every four to six weeks. One respected site advised that the horse would need them for life in order to stay sound – so these are a crutch, not a cure. They have an annual bill of between £860 and £1950, depending on cost and frequency. But how can you prevent laminitis happening in the first place? 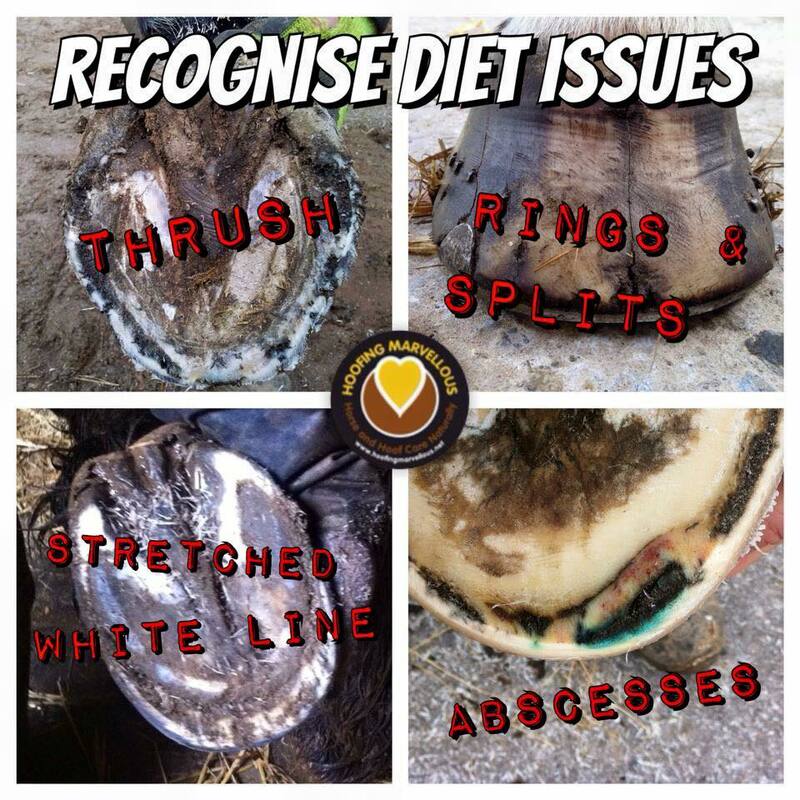 The secret, as Jackson and others advise, is to be aware that the early signs such as blood traces in the white line of the hoof, persistent thrush, stretched or separating hooves which are mostly caused by the wrong diet. Let’s face it our horses live on farm land. They live on grass that is designed to produce food and milk. So it’s extremely rich. The horse might have a better chance of a healthy life if he shared space with the motorway traffic. I’m joking and I don’t want you to turn your animals out on the M25…or Route 66! But I do want you to put yard owners under pressure to adapt their land. Ask, ask and ask again (nicely) to track the fields. If you have your own field I’d like you to buy some electric fencing to make an interesting route for your horses to walk and eat slowly. And I want you to feed some hay all year round but especially in the danger seasons – it’s a much cheaper option than illness. Rely on 100 per cent grass and you are taking a risk with your friend’s life. Building a track isn’t difficult. It’s fun and your horse will love it too. Simply take out the middle of the field with electric fence and leave your equines to graze the outer track. If you have a grass-sensitive horse you might have to scrape the grass off or get sheep to eat it down. Allow horses to race around it a few times, allow it to become quite bare and make sure there is hay spread around to encourage movement. Aim for movement and not lush grass and you stand a better chance of avoiding the high cost of lami. 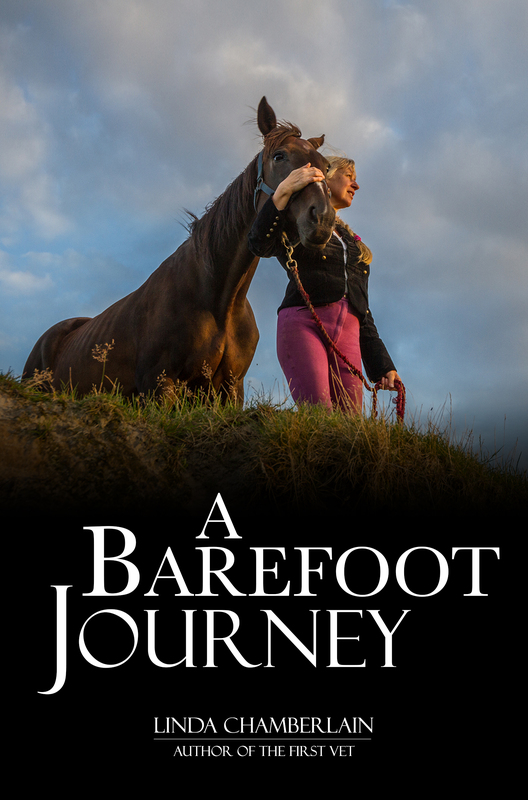 This article was first published in Barefoot Horse Magazine. Here is a link. Thank you to the Hoofing Marvellous group of trimmers for the use of photos. 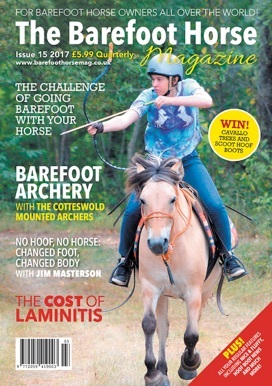 This entry was tagged barefoot horse, Barefoot Horse Magazine, barefoot trimmer, books, laminitis. Bookmark the permalink. 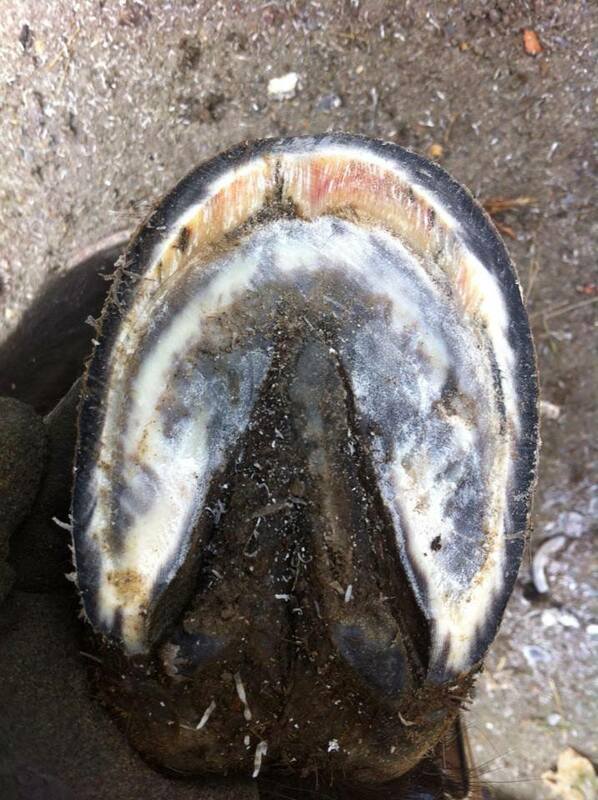 Not all splitting and cracking is due to poor nutrition or horse having laminitis. It’s also due to weather conditions how wet or dry it is also the ground how hard or how soft it is.As well as has the horse been shod and shoes came off and now barefoot.